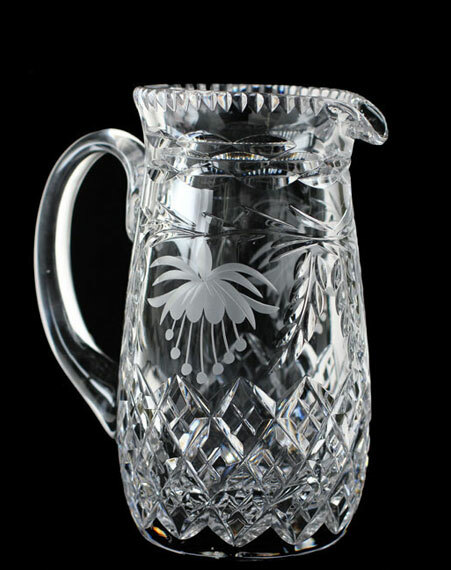 English Hand Made Crystal3 Pint Pitcher Slim Jug – English Hand Made in Tutbury this jug is ideal for serving a variety of drinks. The Fuchsia cut showcasing the 31% Lead Crystal glimmering in the sunlight is a timeless style. 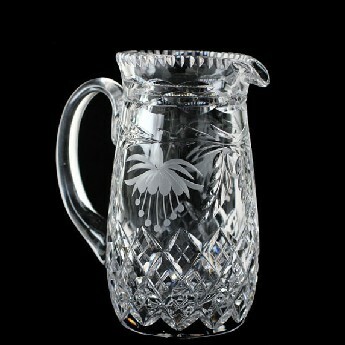 Perfect for sharing when hosting parties, admired by all your guests.